Move back in time to the heart of multicultural Poland. The next tour is planned for 2020. 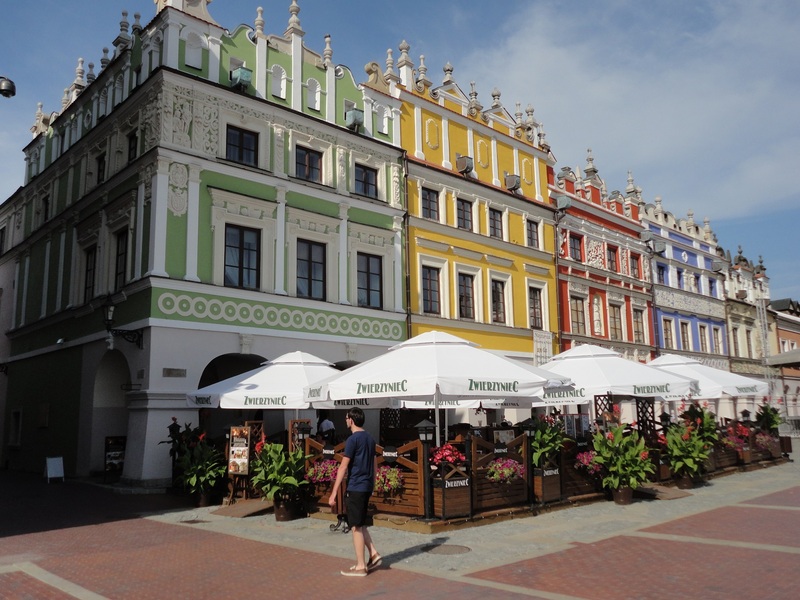 10 – day tour through the historical Kingdom of Poland and other parts of 19th century Poland occupied by Russia (today’s Central and Eastern Poland and Lithuania). PO Kingdom of Poland Tour is our newest proposal (offered since 2015), created for those who are deeply interested in the history, culture, and traditions of Poland, especially for those of you who have their family roots in the former Russian partition of Poland, including today’s Lithuania. It is a ten-day journey in Central and Northeast Poland, and Lithuania. Most of all we will show you how diverse, multicultural, sometimes mysterious and exotic this land used to be! We will show you two capitals: Warsaw and Vilnius, along with the region where the cultures of Polish nobility and peasants, Jews, Karaites, Lithuanians and Tatars intermingled and clashed. We will also see where the Roman Catholic and Orthodox Churches and Western and Eastern European cultures meet. The renaissance buildings in Zamość. Picture: PolishOrigins. 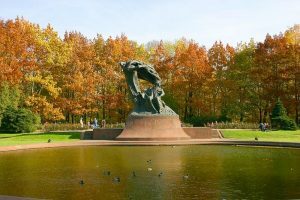 You will visit the romantic borderlands of Henryk Sienkiewicz novels, Adam Mickiewicz’s Lithuania, described in his “Sir Thaddeus”, and on to Chopin’s beloved Polish landscapes. We will help you to understand the twists and turns of history, such as the Polish-Lithuanian Commonwealth, the Russian partition of Poland and the dramatic fate of the Polish people during World War II. Picturesque Kazimierz Dolny. Picture: PolishOrigins. 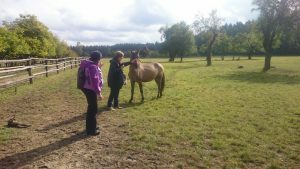 You will see remote villages where time has stopped, old noble manor houses and palaces, and the renaissance architecture of Zamość, Kazimierz Dolny, and Lublin, along with the wild forest reserve filled with Bison and other Central European mammals. Together, we will experience the delicious, local, regional cuisine, and fully experience real Slavic hospitality. The “Kingdom of Poland” was the name of Poland since the early medieval times. It was also the “Crown of the Kingdom of Poland”, ruled by our king Władysław Jagiełło, during the Polish-Lithuanian Commonwealth. It was the time of Poland’s greatest power and influence. After the Napoleonic Wars of 1815 to 1818, this name was used for a Polish land dependent on Russia. The Kingdom of Poland Tour will enlighten you as to what is really hiding behind all those complicated historical names. Day 1. Arrival in Warsaw. We will meet you at the airport or at the hotel. In the afternoon, you will have a guided tour introducing you the capital of Poland with its Old Town and Royal Castle, which was meticulously rebuilt after World War II. It is an outstanding example of a near-total reconstruction of a span of history covering the 13th to the 20th centuries, and as a result, was placed on the UNESCO World Heritage list. In the evening, we will enjoy a welcome dinner together. Accommodation: 4* Hotel in the center of Warsaw. During most of its history, Warsaw was a multicultural society which included various numbers of Germans, Jews, Ukrainians, and Belorussians. Most of Warsaw’s population were Jews, which made up about 30% of the community! Today, we will visit the Museum of The History of Polish Jews with its core exhibition, presenting the thousand-year history of Polish Jews. We will be immersed in the world of Polish Jews, from their arrival in Poland as traveling merchants in medieval times until today. Later, together we will see Wilanów Palace and Park – a baroque royal residence and favorite place of John III Sobieski, King of Poland and Grand Duke of Lithuania. Day 3. A charm of a little town and a countryside. Today we will leave Warsaw. 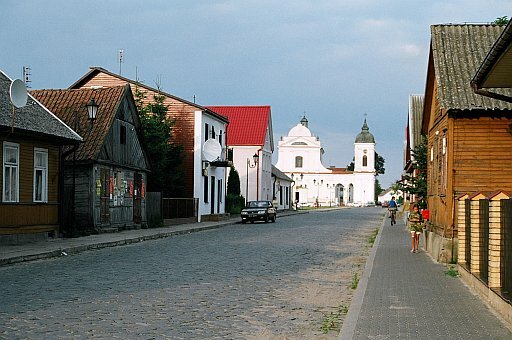 Our first stop will be Tykocin, one of the oldest towns in the region, and an important residence of Polish and Lithuanian kings since medieval times. In the evening, we will arrive at our hotel in the Podlasie region, on the crossroads of various cultures and religions. 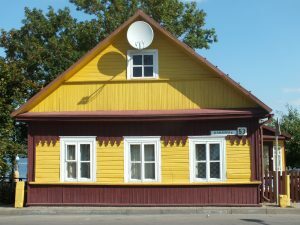 Accommodation: Hotel in the countryside near Tykocin. Day 4. Vilnius – a city between the East and West. Today we will leave Poland for a while and go to the capital of Lithuania, Vilnius, where you will spend the next 2 days. Vilnius, a UNESCO World Heritage Site, has one of the biggest “Old Towns” in Europe (it is three times bigger than Kraków’s Old Town). Vilnius has always been an important cultural center and melting pot. It had a very specific importance for Poles, Lithuanians, Belarusians and Russians. Because of its large Jewish community, Napoleon named it the “Jerusalem of the North”. We will also follow the Polish paths of Vilnius history. During our guided tour you will visit the famous “Gate of Dawn” (Ostra Brama) and the Giedymin Castle, with its picturesque views of the town and the Wilejka river. Accommodation: 4* Artagonist Hotel in the center of Vilnius. Day 5. Trakai, a town built on water, and Karaites minority. The history of Poland and Lithuania was intertwined for centuries. Maybe some of your relatives have their roots in Lithuania as well? Today we will continue our day in Vilnius and in the afternoon we will visit and hear the story of a castle, more than 600 years old, in Trakai and located on an island. A notable feature of Trakai is that the town was built and preserved by people of different nationalities. Historically, communities of Tatars, Lithuanians, Russians, Jews and Poles lived here. 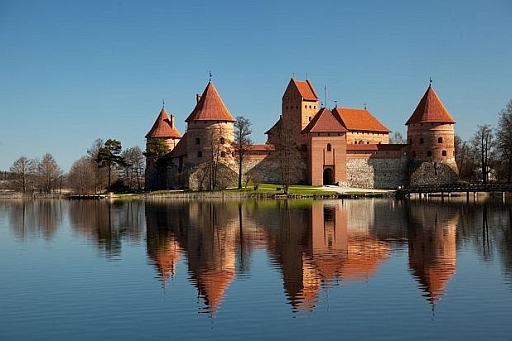 You will also learn about the Trakai Karaites minority, resettled here from Crimea, after the military campaigns against the Golden Horde in the 14th century. In the evening you will enjoy the hospitality of the Vilnius people during a dinner at one of the Old Town’s restaurants. Day 6. 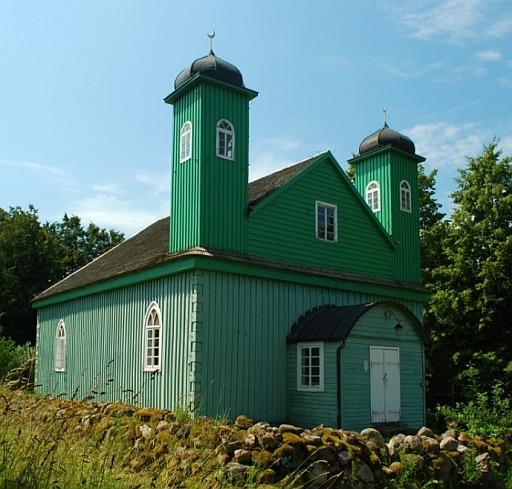 Podlasie region: Orthodox culture and exotic Tatars world. We will leave Vilnius and return to Poland with a short break on the way. 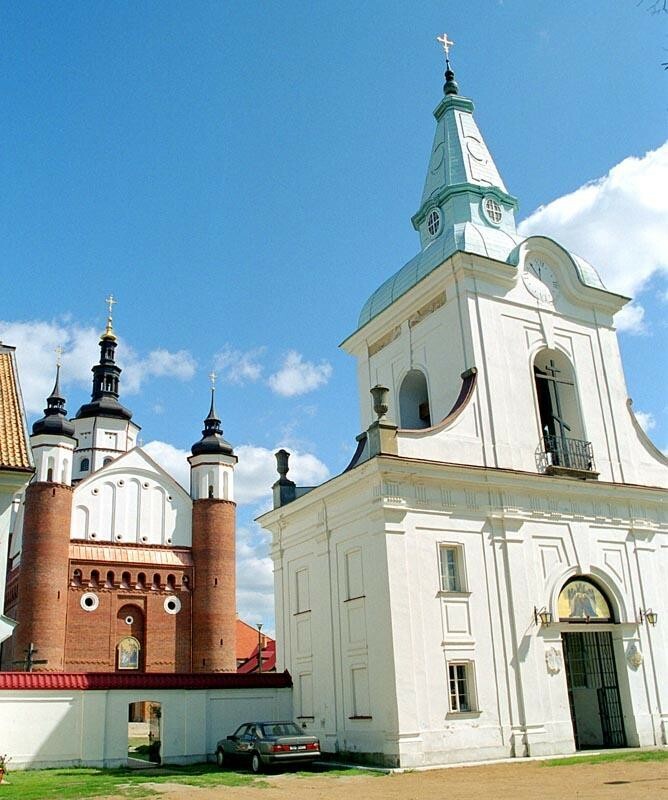 After we cross the border we will visit the Orthodox Monastery in Supraśl, founded in the 16th century. 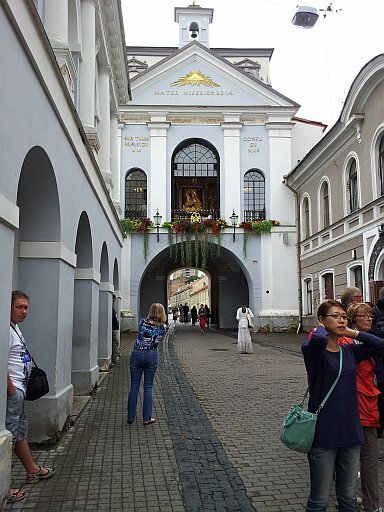 With the passing of the years, the Supraśl Lavra became an important site of Orthodox culture as a result of its large library and lively contacts with other important Orthodox sites, such as the Kiev Lavra and Mount Athos Monastery. Buildings of Orthodox monastery in Supraśl, Poland from www.poczta-polska.pl/mw with the permission of the author. Photo from 2003. In the afternoon we will travel to Kruszyniany to show you the oldest wooden Tatar mosque in Poland. Kruszyniany is often called a cultural melting pot because here is where three religions intersected: Catholicism, Islam, and the Orthodox Church. After the visit, we will take you to a Tatar household for a dinner with traditional Tatar’s cuisine! 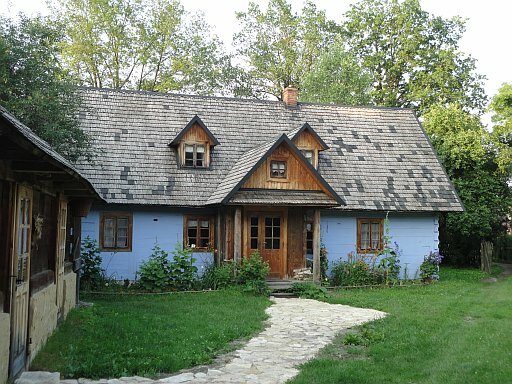 Accommodation: 4* hotel in Białowieża, located at the threshold of Białowieża National Park. Day 7. Wild nature of Bialowieza Forest. Today, you will have the opportunity to experience the real wildlife in Białowieża forest. In the morning, we will try to show you the real Bison which often wander into the village. 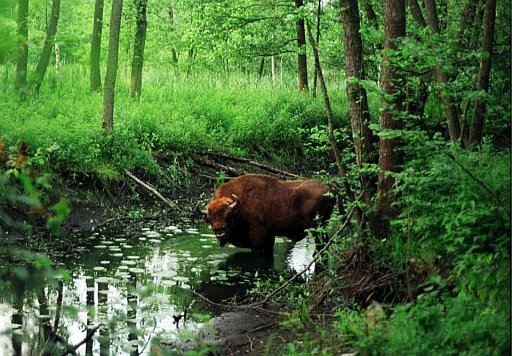 We will also arrive in Hajnówka to visit the Show Reserve of the European bison in the Białowieża National Park. There will be also some time to take a rest and relax in the hotel’s swimming pool and wellness centre. Day 8. Lublin, “the gateway to the East”. After breakfast, we will drive to Lublin. On the way, we will stop in Kozłówka to visit the Zamoyski family residence. For centuries, Lublin was an attractive, multicultural city, enticing entrepreneurs and providing opportunities for quick profit and enrichment. The city was located at the crossroads of important trade routes: from Poznań and Wrocław to Lviv and further on to the Black Sea. Lublin was also famous for great fairs. That is why the city attracted not only Poles, Russians, Jews and Germans, but even Scots, Italians, the French, Hungarians and Armenians! 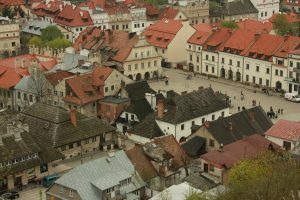 In the afternoon, we will invite you for a guided tour of Lublin’s old town, along with the Lublin Castle and its famous Holy Trinity chapel with Byzantine paintings. We will try local cuisine at one of the charming restaurants in the main square. Accommodation: Hotel in the Old Town Market Square in Lublin. Day 9. The charming Roztocze region. We will invite you to discover rural Poland and the Roztocze National Park: featuring Polish Pony breeding and the natural, wild forest in Florianka. We will then visit the town of Zwierzyniec, with its picturesque chapel on the water, and then the renaissance town of Zamość. Polish horse in Roztocze National Park. Picture: PolishOrigins. Day 10. Kazimierz Dolny, the town of artists. This will be the last day of traveling. We will show you Kazimierz Dolny, one of the most beautifully situated little towns in Poland. Located at the banks of Wisła river, it has been attracting artists, actors and summer residents since the 19th century. 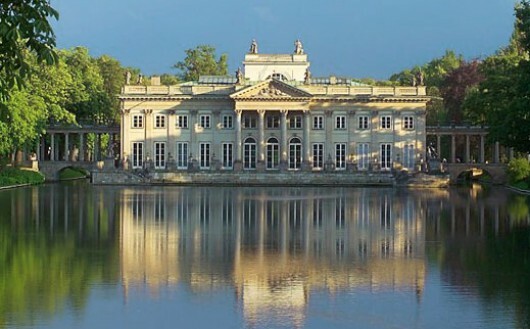 In the afternoon, we will come back to Warsaw to visit the Royal Łazienki Park. 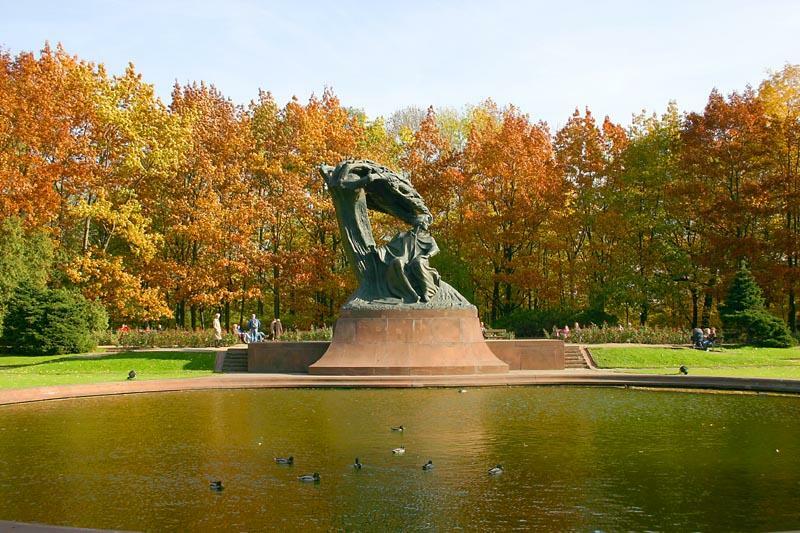 This is the largest park in Warsaw, occupying 76 hectares of the city center. In 18th century it was transformed by King Stanisław August into a setting for palaces, villas, classicist follies and monuments. Today it serves as a public park, a venue for music, the arts and culture. In the evening we will invite you to a farewell dinner in the walking distance from the hotel. Day 11. The departure day. After breakfast, you will check out from the hotel and we will accompany you to the airport. The total cost of Kingdom of Poland Tour is 10400 Polish zlotys (SGL room supplement: 3000 PLN) (Around US$2854, (SGL room supplement: US$823) according to currency exchange rate from October 30, 2017. First Minute price for the first 6 guests who will make reservations: 9900 Polish zlotys (in DBL or TWN room occupancy). Please be aware that we accept payments in Polish zlotys and this amount expressed in US$ is only for information purposes, valid on the date mentioned above. The current Polish zlotys (PLN) / US Dollars (USD) exchange rate you will find here: current average currency exchange rate between US Dollar and Polish zloty USD/PLN. This is an average currency exchange rate and it is usually distorted by commissions charged by all the financial intermediary institutions (so-called spread between currency buy and sell rates). We operate in Poland as a licensed tour operator and Polish business entity and we accept payments in Polish zlotys (PLN)). If you are returning PolishOrigins Tours client or want to combine PO Kingdom of Poland tour with Genealogy Tour or Tailor-Made Tour then you are entitled to 500 PLN discount. Discounts do not combine. Tour cost includes: accommodations in TWN/DBL rooms (or SGL room with the supplement given above) with private bath or shower, two meals daily: breakfast and lunch or dinner, transportation between cities by air-conditioned, comfortable mini bus, sightseeing tours as specified in the tour itinerary, baggage allowance of one suitcase per person, services of an English-speaking guide throughout the Tour, hotel taxes, transfers on arrival day (7 Sep) and departure day (17 Sep) from and to the airport or hotels. Not included in the tour cost are items of personal nature such as laundry, telephone calls, mini-bar, air transportation to and from Poland. The only planned date for the PO Kingdom of Poland tour for 2018 is September 7-17. Important: The deposit is refundable until the 90-day before the date of starting your Tour. If a tour has less than 6 participants who have made reservations 2 months before planned date of starting the Tour, we reserve the right to cancel the whole Tour. In that case, all deposits for that Tour date will be refunded. 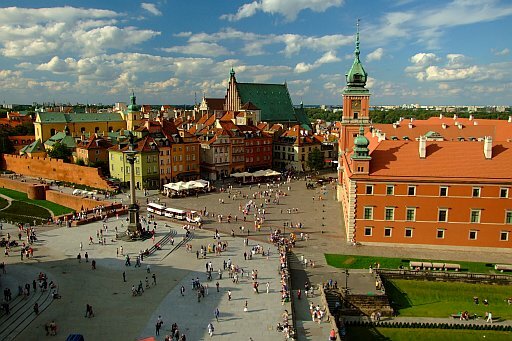 The Kingdom of Poland Tour is carefully designed and prepared, with attention to all the details, from the leaders of the tour, the transportation, accommodations and the attractions chosen in our itinerary. To keep a private character and atmosphere, our group size will not exceed 15 participants. Throughout the whole tour and associated itinerary, you will be accompanied by one of our experienced English speaking tour guides. You can be sure that he will do everything possible, to create a comfortable atmosphere and reply to all the questions guests may have about the organization of the trip as well as Polish history. In addition, in all tourist attractions, we hire specialized, local guides and we invite knowledgeable people to share with our guests, the history and traditions of the area. They add the local colors to your tour! We invite you to contact us by email: [email protected] or by phone: 0048 664 407 089 (6.00 AM- 4.00 PM EST).